Wait, wasn’t it just Sunday a day or two ago? How can a week go so fast? It’s time for another Scavenger Hunt Sunday. This week’s words are Vacation, Food(s), Sound, Texture, and Anything. 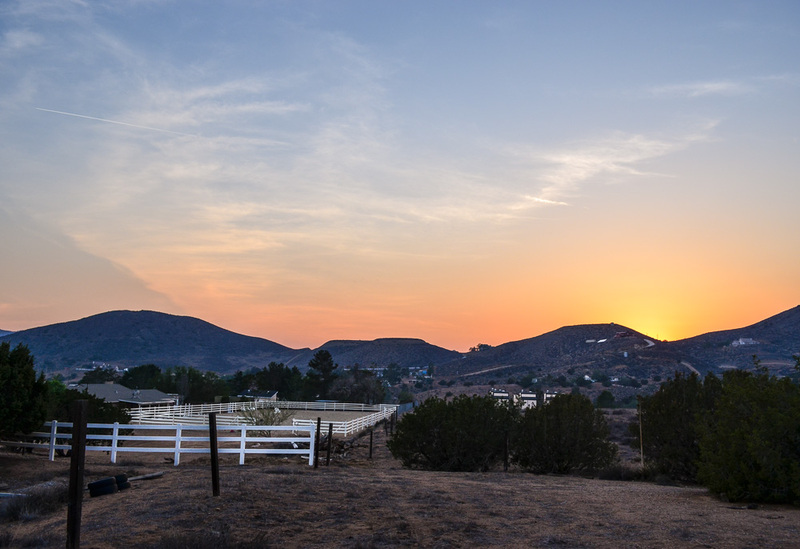 This week marked the one-year anniversary of my retirement and move from East coast to West. When you’re retired, every day feels pretty much like vacation, at least to me it does. The last actual vacation I took was almost two years ago, a week spent with my daughter and her “El Boyfriendo” in the White Mountains of New Hampshire. 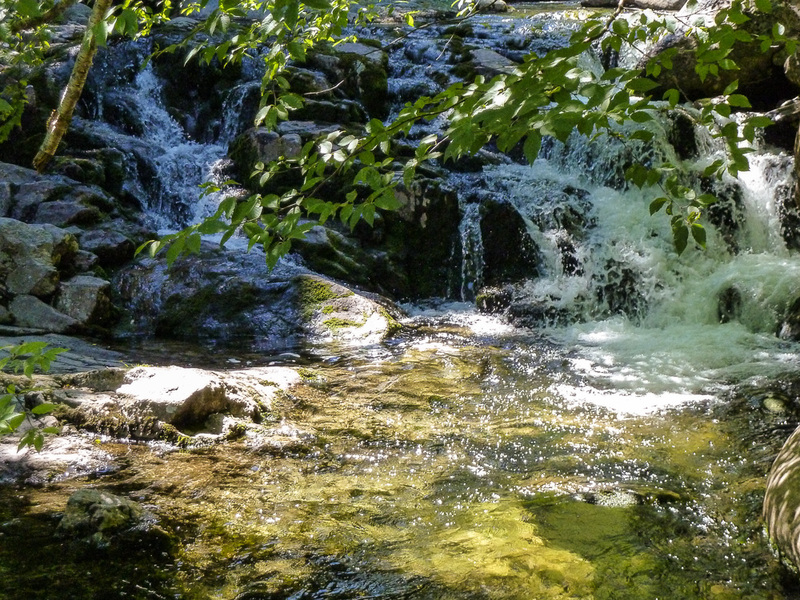 I went to my archives for this photo of green leaves and flowing water from that trip. Looking at those photos again brought back some great memories. It’s Memorial Day Weekend and therefore the start of summer, no matter what the calendar might say. 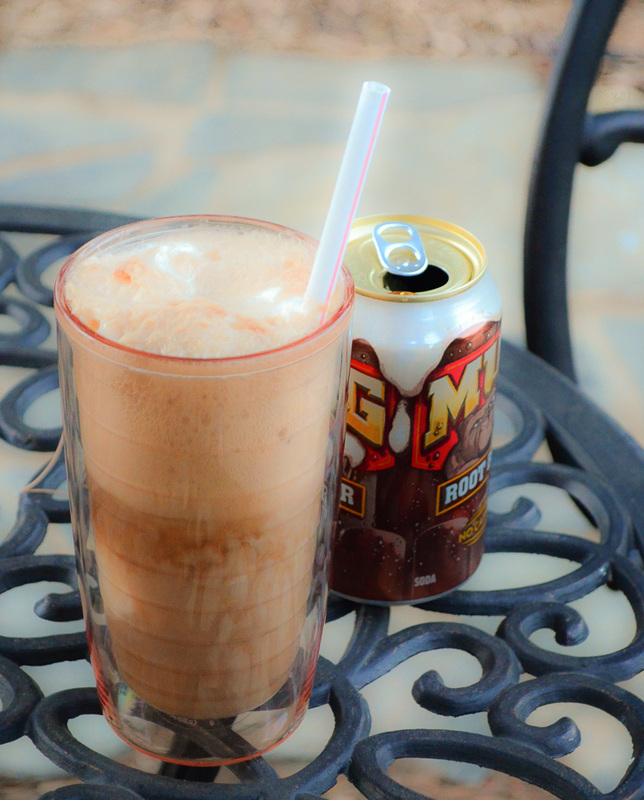 I marked the occasion with a root beer float, one of my favorite summer foods. Friday morning the sound of birdsong was drowned out by chain saws. 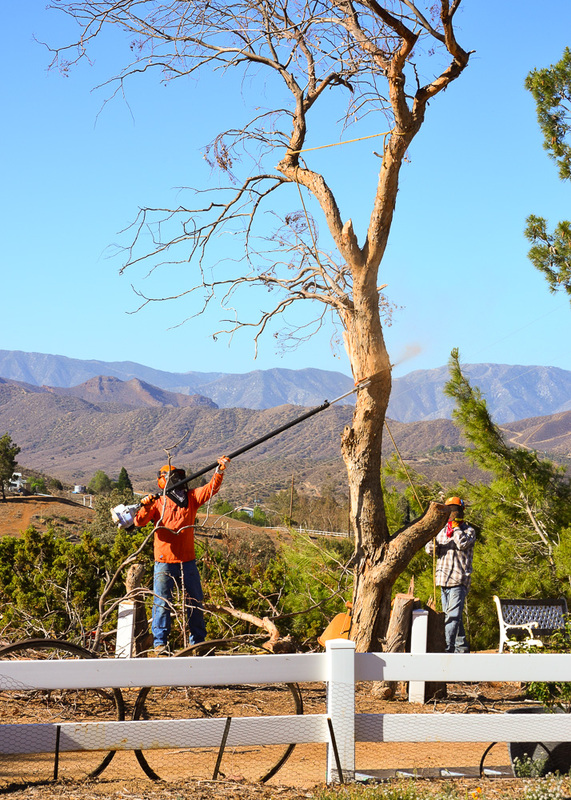 Our big eucalyptus, which has served as a prop in many of my photos over the past year, died last summer and needed to be taken down. It’s left an enormous hole in our view . . . and in my heart. High up in that tree was this wonderful Western Kingbird nest, which the men carefully removed and saved for me. I had first spotted it about a month ago, my eye drawn to it by all those colors. Fortunately, the nest was empty, the babies flown. If you click for a larger image, you can see the variety of materials it’s made of. 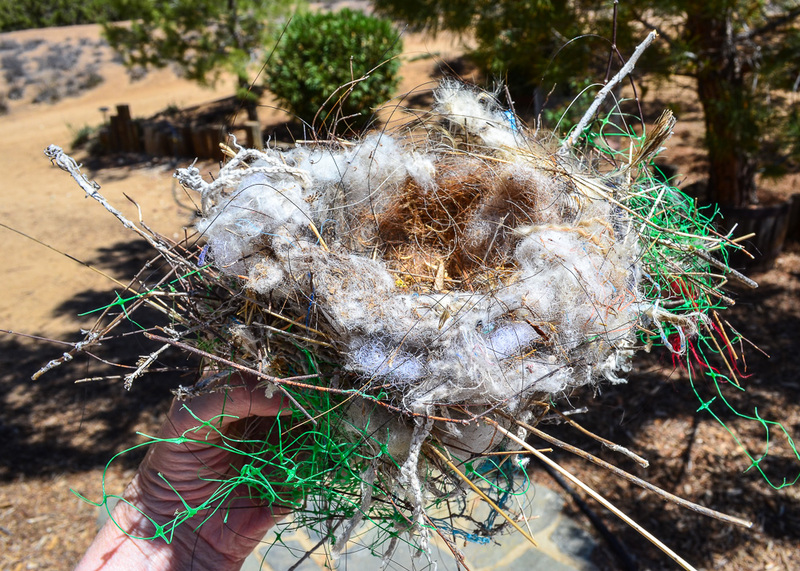 There’s a foundation of twigs, of course, plus twine, plastic netting, yarn, string, horsehair, some of MY hair (trust me, it’s distinctive), bits of what looks like dryer sheet, polyester fiberfill, plant fluff, a Hershey’s Kiss pull thingy, and my favorite, a jaunty little chicken feather. See it? Sticking up in the upper right? Do you think he can read? 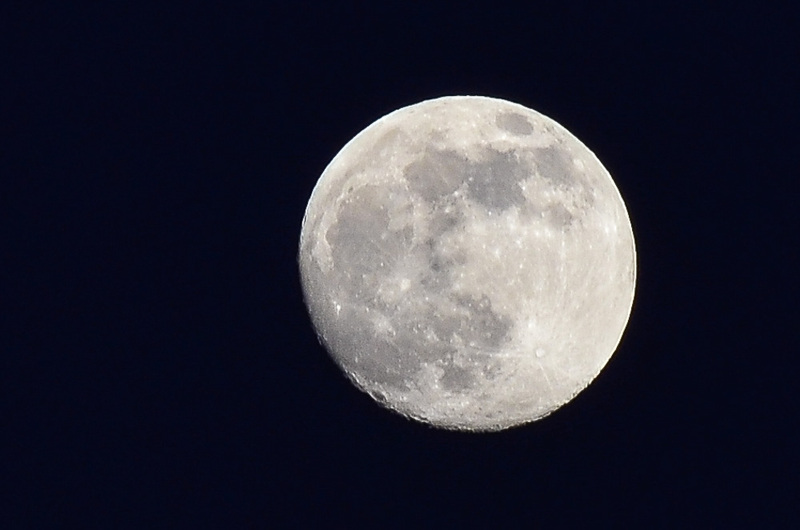 This was one of those occasions when I got caught with the wrong lens on my camera, so I had to crop quite a bit. He actually has a lizard in his beak. 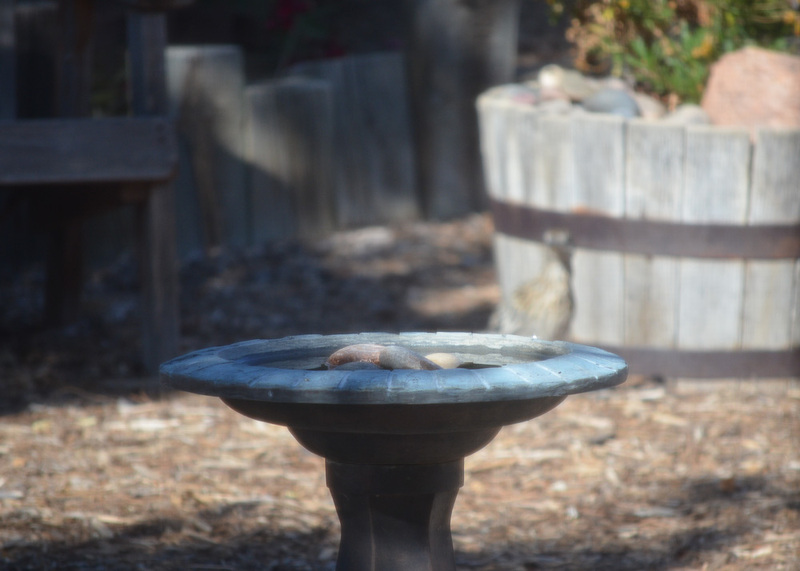 I love the little lizards, too, but around here almost everything is food for something else. It’s just the way it is. If you’re having a long holiday weekend, I hope it’s a good one! 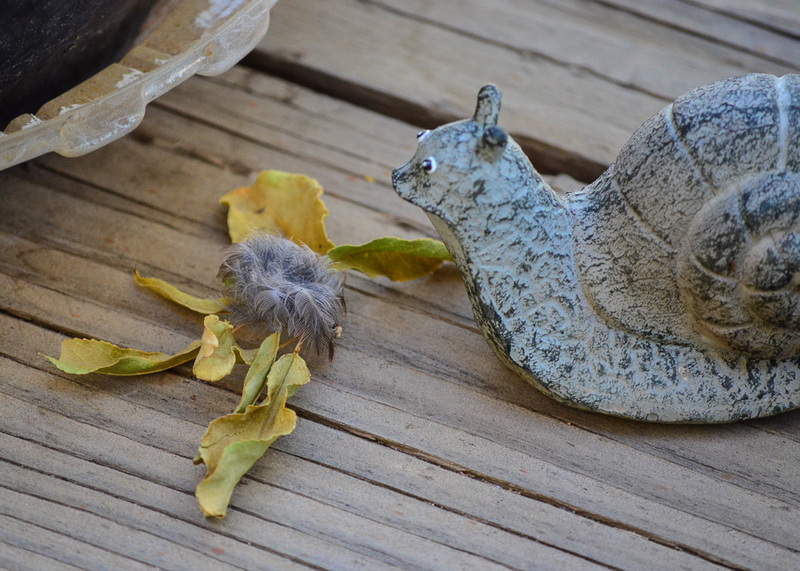 If you’ve got some time, come on over and check out the Scavenger Hunt Sunday linkup. Categories: Scavenger Hunt | Tags: Ed Porter, nest, New Hampshire, roadrunner, root beer float, stream, tree removal, water, western kingbird, White Mountains | Permalink. Yay, it’s finally here! I’m taking a new class in Kat Sloma’s Find Your Eye series, called Journey of Fascination. We received our first lesson yesterday, “Letting Go.” It’s about learning from our photographic mistakes and missed opportunities and then letting them go — not continuing to beat ourselves up about them. Our assignment is to write a photojournal entry about one of those mistakes, what we learned from it, and whether we’ve let it go. Probably like most photographers, I’ve missed a LOT of shots for various reasons. Driving by and not being able to stop. Not being able to get to my camera quick enough. Losing the light. Dead battery. Wrong lens. Wrong settings. Operator error. Where’d he go? Note to self: practice panning. Some of those I can’t do much about. Sometimes you just cannot pull off the road to get that photograph, no matter how badly you might want to. Clouds and light change in an instant, and there’s no controlling that — not for the average human, anyway. I try to keep my camera close at hand now. It’s usually on my desk, with the lens on it that I’m most likely to want in a hurry. 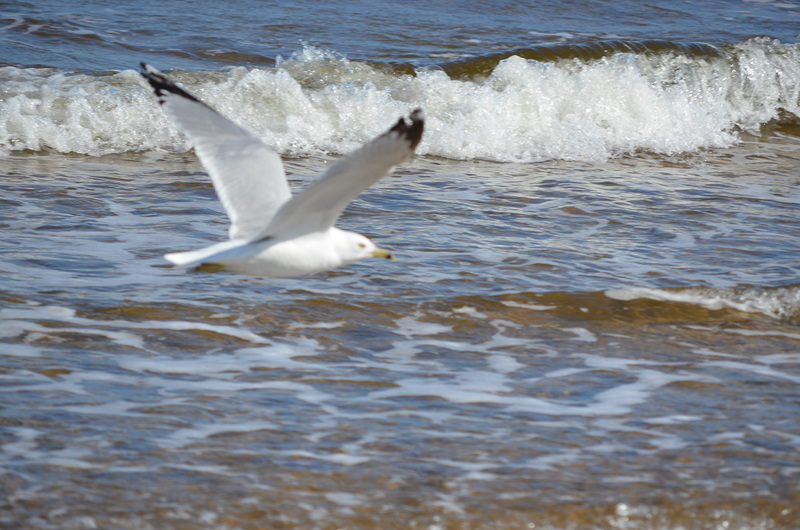 These days, that’s my 55-200mm zoom, for capturing the birds that fly in and only stay a moment or two. I keep my battery and a backup charged and change it before it runs completely out of juice. Darn it! Wrong focal point. The mistakes that bother me the most are the ones I make due to lack of technical expertise or knowledge of my camera. When I read over this lesson, one very painful one leapt to mind. Several years ago, some dear friends asked me to attend and photograph their wedding. It was a weekend-long event at a beautiful location, and began on Friday evening with a dinner for all the guests in a dimly-lit restaurant. I arrived late, as I had to drive a long distance after work to get there. For some reason, I decided to change my camera’s flash setting to “rear curtain sync.” What I wanted was to capture the ambient light, then add a pop of flash to capture the details. (I wanted a more natural atmosphere than straight flash would give me.) What I didn’t take into account is that this might work fine for a stationary subject, but not so well with moving targets. Still makes me want to cry. 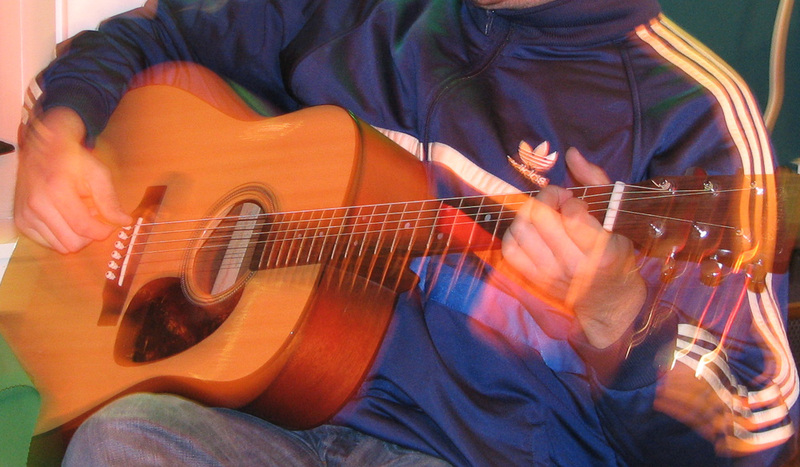 Actually, this image (cropped to just the instrument and hands) doesn’t look that bad. You might almost think I’d done it deliberately. But, believe me, the blurred pictures of people sitting around tables, eating, chatting, and laughing, were not pleasing. The worst of it was, of course, that it was a once-in-a-lifetime event. There could be no do-overs. Fortunately, I realized my mistake right after taking the image above, and the rest of the weekend and the photography went fine. But by then the dinner was over and the damage done. My friends were gracious and forgiving, but my stomach still clenches whenever I think about it. Clearly I have not let it go, despite knowing there is nothing I can do about it. The takeaway lesson for me was to never, EVER experiment with the unknown when the results are critical. Don’t guess, but plan ahead of time and KNOW what is going to happen if a setting is changed. Look up what I want to do and how to do it. Experiment on my own time, ahead of time. If those photos had been for myself, I’d have been disappointed and probably angry with myself, but I’d have gotten over it. What’s done is done, and there’s no point in brooding about what can’t be changed. But in this case, I disappointed someone I cared about who was counting on me, and that’s the part that hurts. That’s what makes it hard to let this one go. 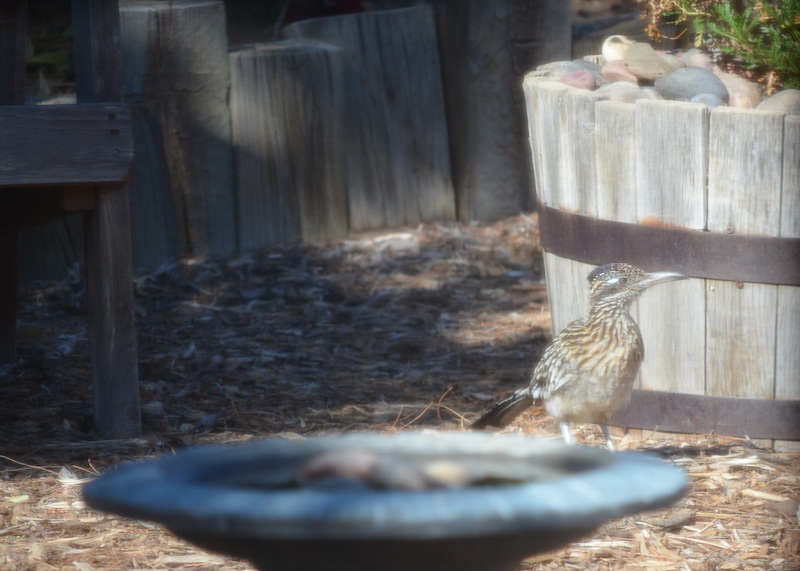 Categories: Finding My Eye | Tags: blur, photographic mistakes, photography, photography class, roadrunner, seagull | Permalink. Happy Sunday! I’ve enjoyed thinking about Scavenger Hunt Sunday all week, and looking for images to fulfill each prompt. This week the topics are: Shadow, Keys, Smile, Unedited, and Spice. Here we go . . . 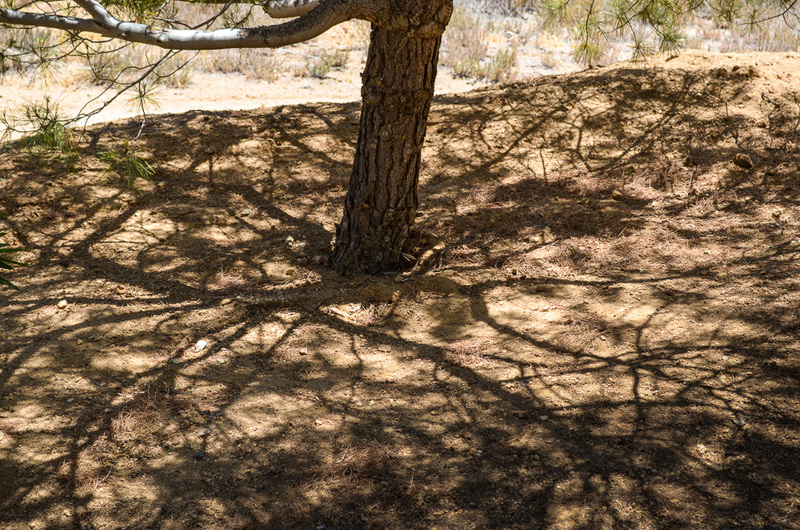 This noontime shadow of a pine tree in my garden reminded me of the symbol for a tree used on architectural drawings. I liked the crisp outline of the branches clearly showing the circular shape of the tree from the sun’s-eye view. I didn’t find any interesting literal keys to photograph, so I’m going with a more metaphorical interpretation. One of the keys to successful gardening is knowing the challenges to growing things in your area. A couple of days ago I saw for myself the reason why this particular plant never seems to grow. The other key here is not to believe everything you read on the internet. 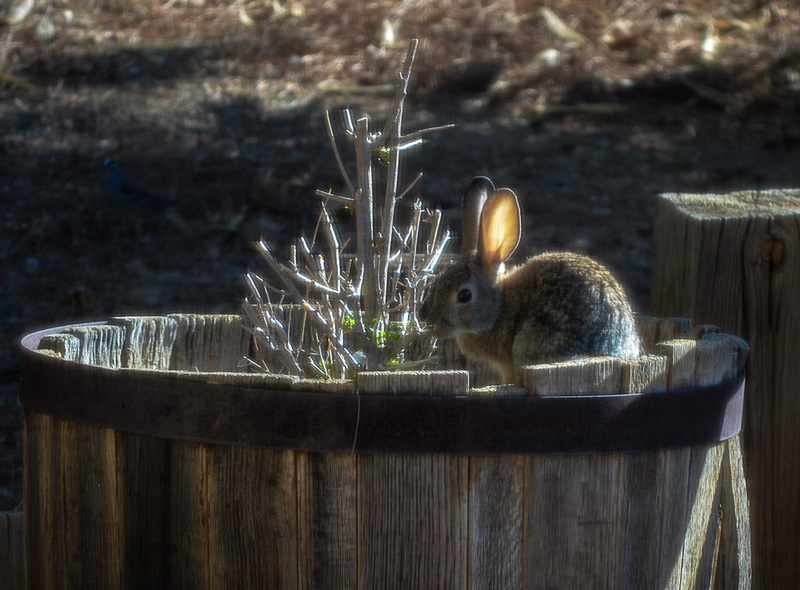 Many sites state that bunnies will only nibble as high as their noses. My mistake was in thinking that meant from the ground. 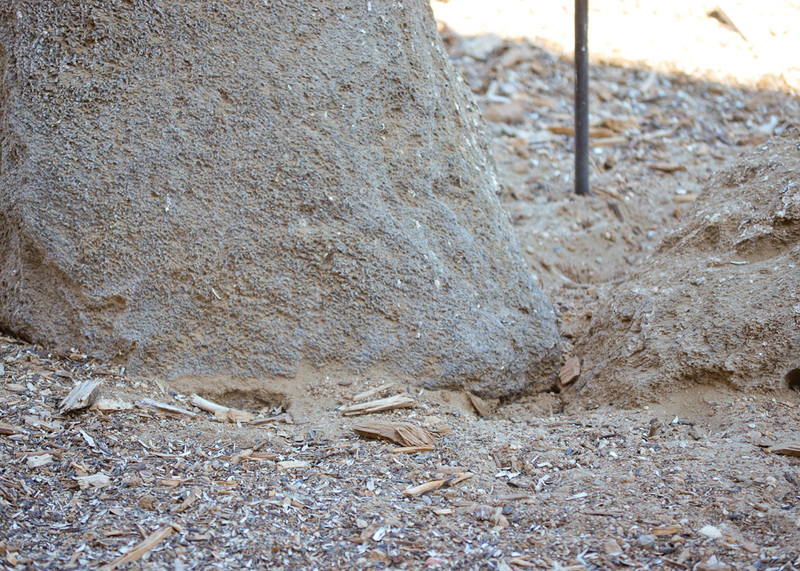 Clearly my rabbits are smarter and more athletic than average. 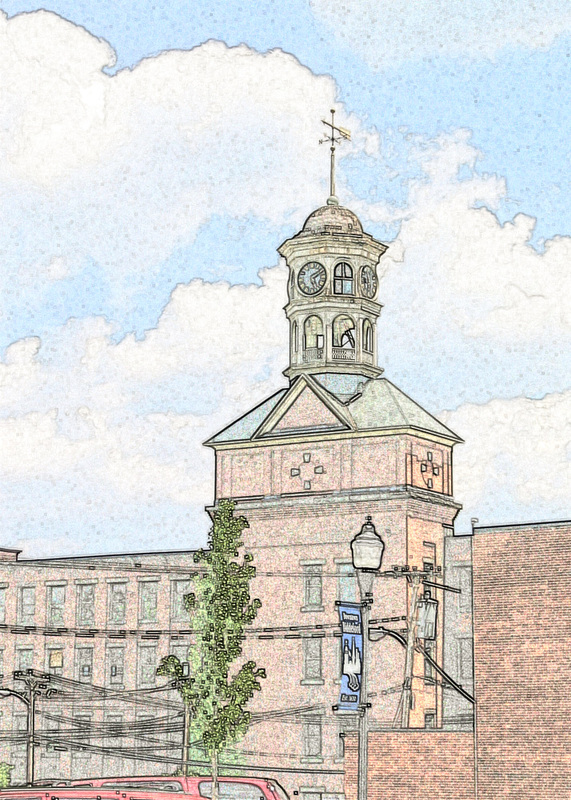 The filter-blur effect is from an actual filter . . . my screen door. This guy has been hanging around a lot lately, making me smile every time I see him. He’s just so darned cocky. 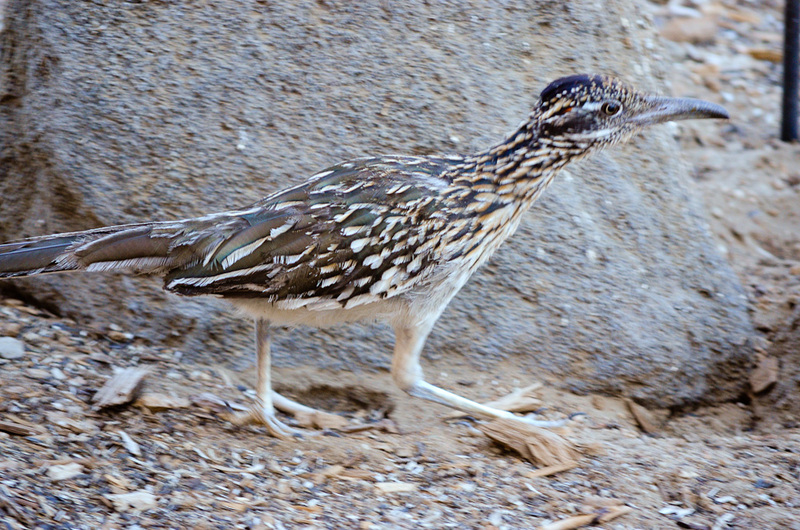 Did you know that roadrunners eat other birds, as well as lizards and snakes? And that they stalk their prey like a cat? It’s fascinating to watch him as he hunkers down flat and creeps along the ground trying to sneak up on the smaller birds in the garden. On this day, I saw him through the window, grabbed my camera, and quietly stepped outside. 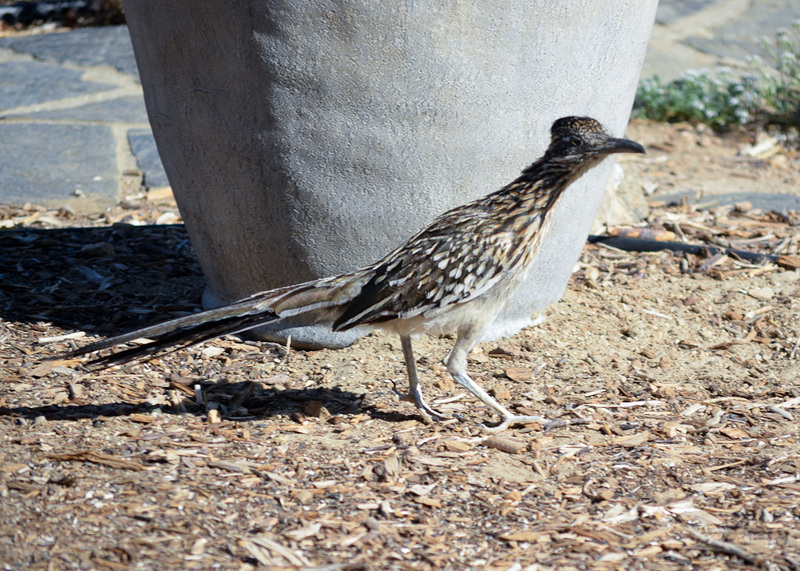 He came trotting through my open gate and up the flagstone walk straight toward me while I snapped away. 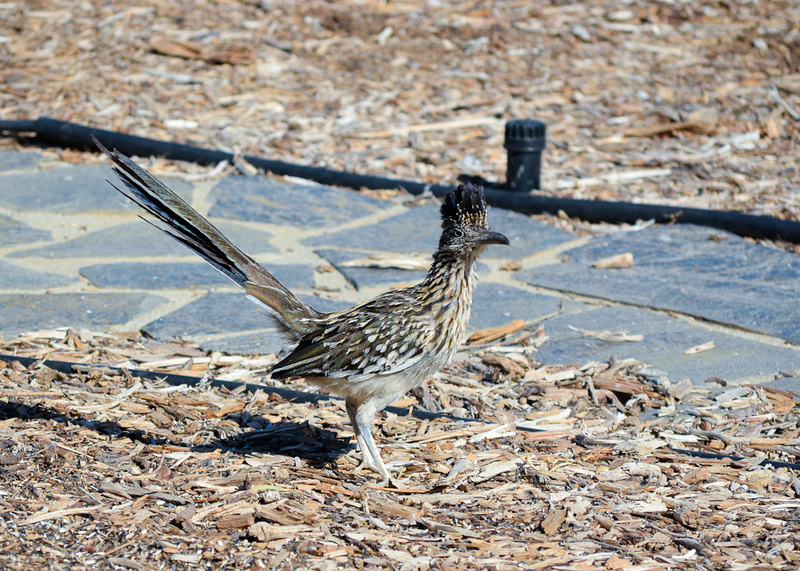 About four feet away, he noticed my presence and veered off. 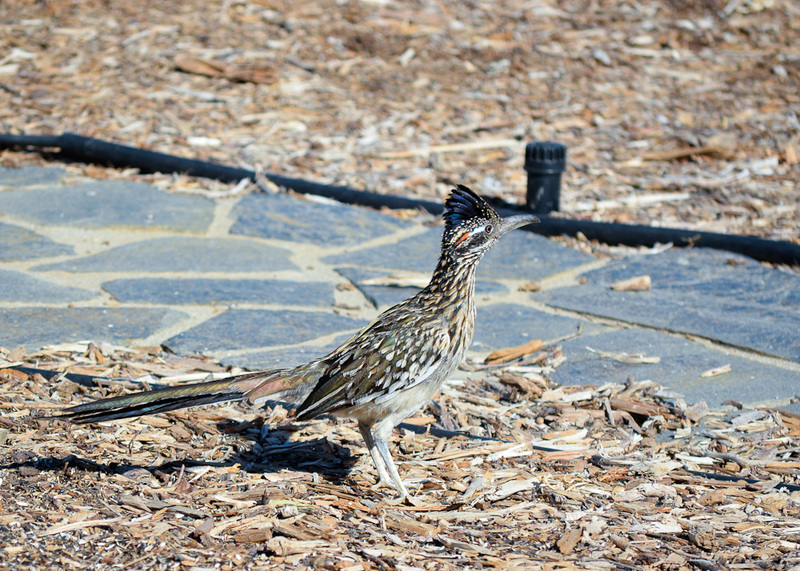 He paused on these timbers and had a casual look around (“I’m not scared of you!”) before heading on up the hill. I think he’s so beautiful. 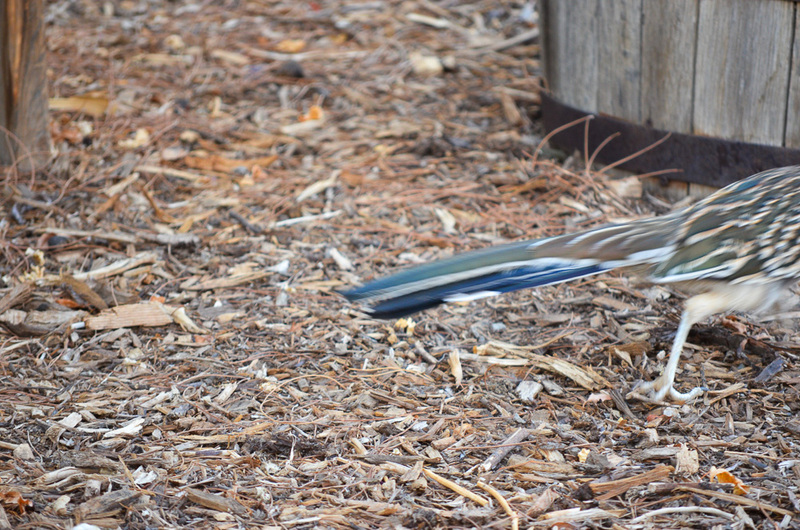 If you click on the picture, you can see there’s a lot of green in the feathers on his back. When the sun hits them just right, they’re iridescent. 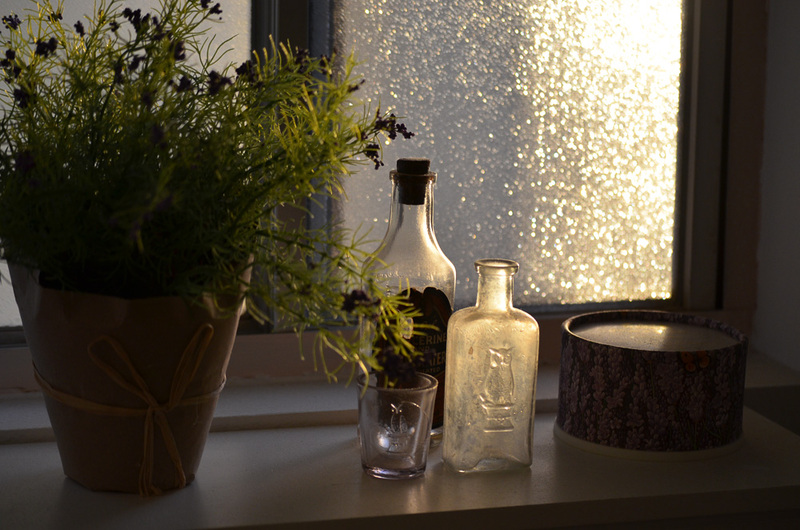 I went into the bathroom one afternoon and my eye was caught by the late afternoon sun coming through the pebbled glass window and illuminating these bottles. I took several images and will probably play with some post-processing later, but this is my favorite SOOC (straight out of camera). 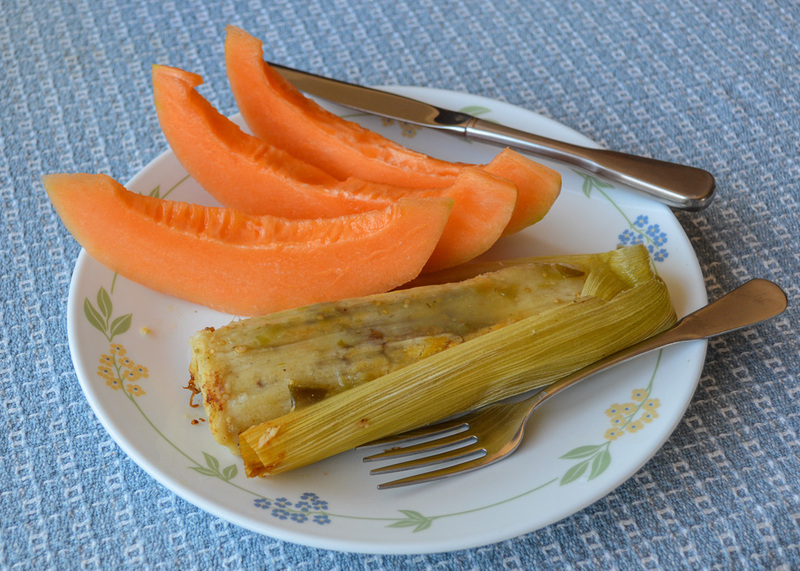 Lunch — a homemade tamale and spicy green salsa from a vendor at the farmer’s market, with sliced cantaloupe from a local grower for a cool, sweet counterpoint. And that’s a wrap for another Scavenger Hunt Sunday. Check out the links over at Ramblings and Photos and see what everyone’s been up to this week. 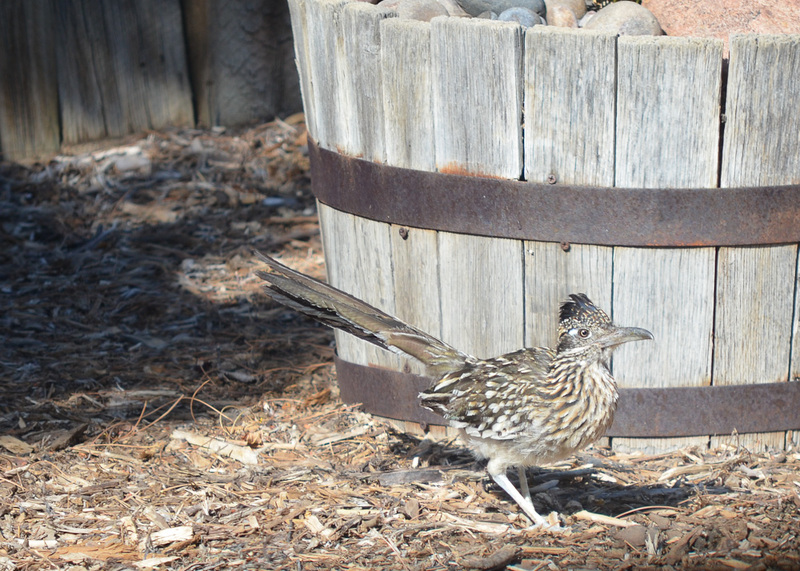 Categories: Scavenger Hunt | Tags: bottles, cantaloupe, farmers market, light, owl drug, rabbit, roadrunner, shadow, tamale, tree | Permalink. He came back! 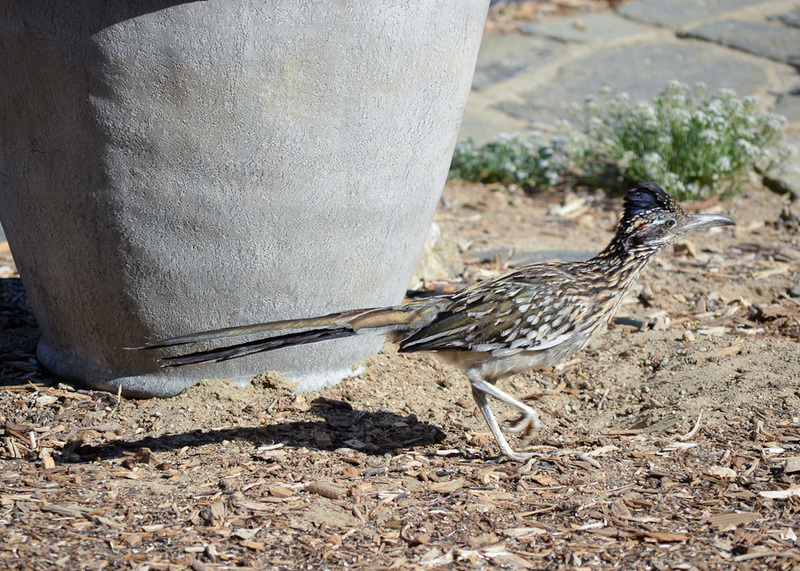 Geococcyx californianus, the Greater Roadrunner, paid me another visit today. 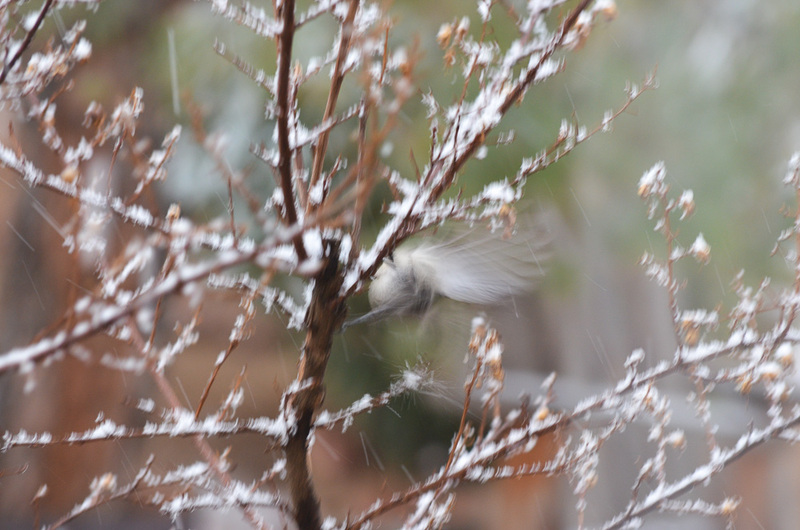 The first three shots were taken through my screen/storm door, and the rest through the dining room window. Oops . . . wait a minute . . .
Can you tell the photographer was a little overexcited? Hm. Through the screen. Still not so good. OK, let’s try standing on a chair. 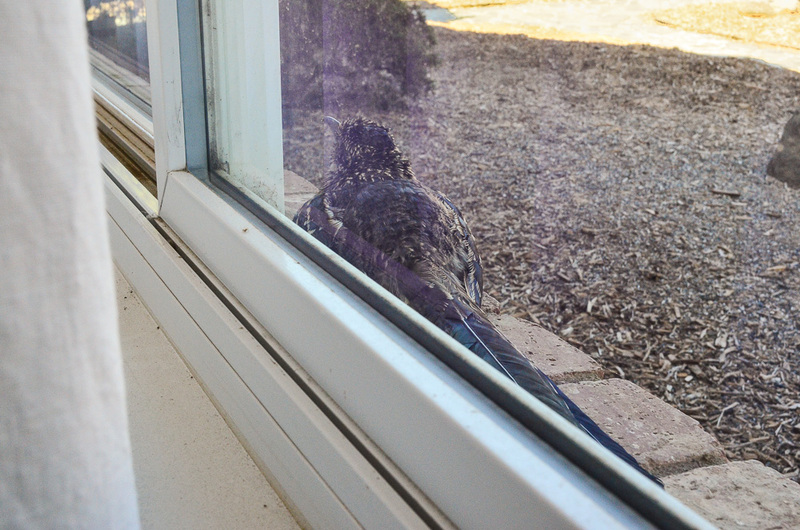 Please don’t move, Bird. Yep — he’s that fast. 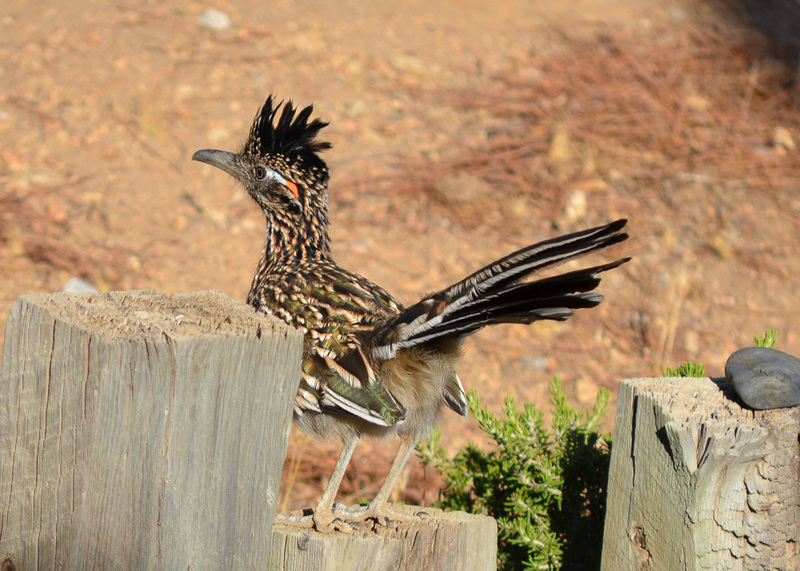 The white and orange behind his eye identifies him as an adult male. One more look . . . Thanks, Bird. You made my day! 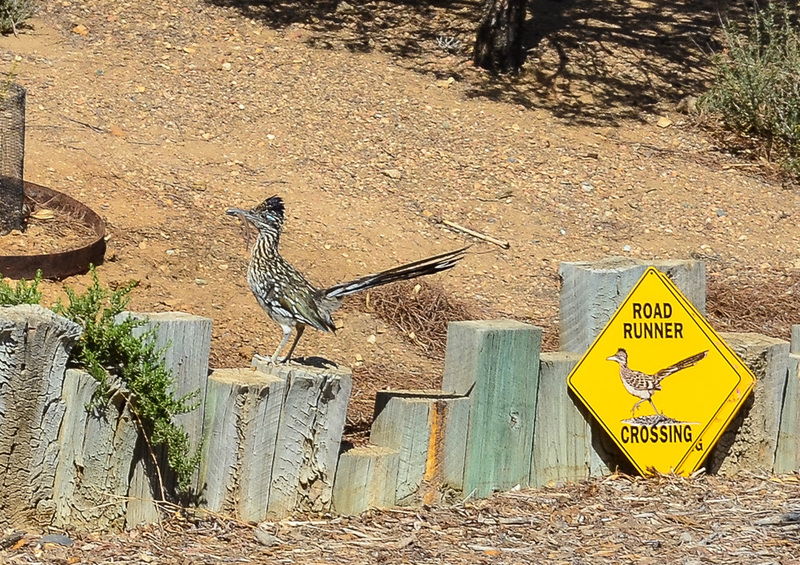 Categories: Wild Things | Tags: Acton, California, Geococcyx californianus, roadrunner | Permalink.